Sensing & Scanning Equipment | Temperature Controllers | Pressure, Photoelectric & Proximity Sensors | Fiber Optic Sensors & Plastic Fiber | Brenner-Fiedler & Associates, Inc.
We provide a variety of sensing and scanning equipment for various environments and industries. 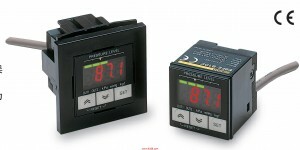 Temperature controllers receive sensor signals and control heaters or other devices to maintain a preset temperature. They can also be used for humidity, pressure, and flow rate control. General purpose Controllers meet a wide range of applications needs for food processing machines, packaging machines, extruders, semiconductor production equipment, and many other areas with high speed, high performance, easy settings, and easy-to-read displays. With Pressure Sensors, changes in pressure can be measured to confirm suction, verify mounting, manage source pressures, and test for leaking. 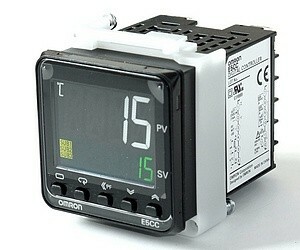 Measurement pressure prevents incorrect outputs due to momentary pressure changes. We provide a wide range of photoelectric sensors for universal and applications specific purposes, such as color, contrast and luminescence sensors, fork sensors for label detection, as well as devices for dimensional and distance measurement. We offer a complete line of type 2 and type 4 safety light curtains for machine safeguarding and access control in dangerous areas, with basic and advanced functions, such as integrated muting, override, blanking, cascadable, configurable models. "Proximity Sensor" includes all sensors that perform non-contact detection in comparison to sensors, such as limit switches, that detect objects by physically contacting them. Proximity Sensors convert information on the movement or presence of an object into an electrical signal. Inductive and capacitive proximity offers a reliable detection where photoelectric is not applicable. Inductive sensors are used for metal parts at close distance, whereas capacitive are suggested for any material inside opaque containers. Proximity Sensors detect an object without touching it and therefore do not cause abrasion or damage to the object. Devices such as limit switches detect an object by contacting it, but Proximity Sensors are able to detect the presence of the object electrically, without having to touch it. No contacts are used for output, so the Sensor has a longer service life (excluding sensors that use magnets). Proximity Sensors use semiconductor outputs, so there are no contacts to affect the service life. Unlike optical detection methods, Proximity Sensors are suitable for use in locations where water or oil is used. Detection takes place with almost no effect from dirt, oil, or water on the object being detected. Models with fluororesin cases are also available for excellent chemical resistance. 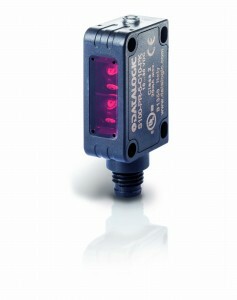 Proximity Sensors provide a high-speed response, compared with switches that require physical contact. 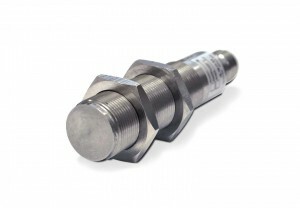 Proximity Sensors can be used in a wide temperature range. 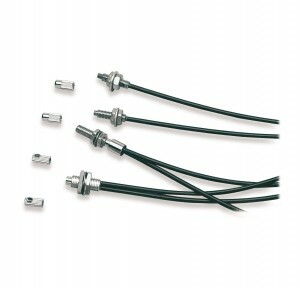 Proximity Sensors can be used in temperatures ranging from -40 to 200°C. Proximity Sensors are not affected by colors. Proximity Sensors detect the physical changes of an object, so they are almost completely unaffected by the object's surface color. Unlike switches, which rely on physical contact, Proximity Sensors are affected by ambient temperatures, surrounding objects, and other Sensors. Both Inductive and Capacitive Proximity Sensors are affected by interaction with other Sensors. Because of this, care must be taken when installing them to prevent mutual interference. Care must also be taken to prevent the effects of surrounding metallic objects on Inductive Proximity Sensors, and to prevent the effects of all surrounding objects on Capacitive Proximity Sensors. Proximity sensors come in quick disconnect models allowing a user to easily swap out in the event the product has been damaged. This can ensure a minimal amount of downtime and maintain productivity. When space is restricted or the environment is too hostile even for remote sensors, fiber optics can be used. Fiber optics are passive sensing components that are made of either plastic or glass and are used in conjunction with photoelectric sensors. They have no electrical circuitry and no moving parts and can be safely pipe light in and out of hostile environments. The core of the plastic-fiber consists of one or more acrylic-resin fibers 0.25 to 1 mm 0.01" to 0.04" in diameter, encased in a polyethylene sheath. Plastic fibers are light, cost-effective, and flexible and are used for the majority of optical fiber photoelectric sensors.